This almost psychedelic Sativa is one of the strongest varieties in Green House Haze collection. Neville's Haze can be difficult to cultivate especially in small spaces. Its skinny Sativa structure won't stop it from being smelly but on a different way than any other cannabis strain. It will take as much nutrients as you willing to give and then she will reward you with yields. 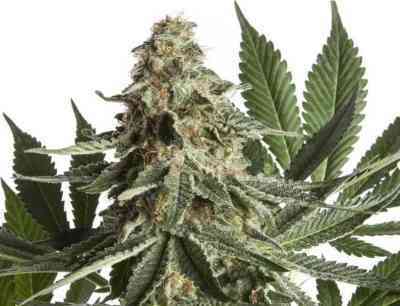 Neville's Haze buds are big and filled with power - not for inexperienced cultivators. Effects: Strong and psychoactive, very spiritual and introspective. Stimulating, long-lasting high. Medicinally effective in pain therapy and as antidepressant. Flowering indoor: 14 weeks with yield up to 700 gr/m2. Tall plant, long and wide branches, ideal for ScrOG or LST. Flowering outdoor: Ready by mid-November (North hemisphere). Yield up to 1200 gr/plant. Ideal for equatorial, tropical, subtropical and temperate climates, needs support.